Not long ago, I had the tremendous opportunity to attend a leadership forum at Hillsong Church in Sydney, Australia with the Executive Pastor of my church. 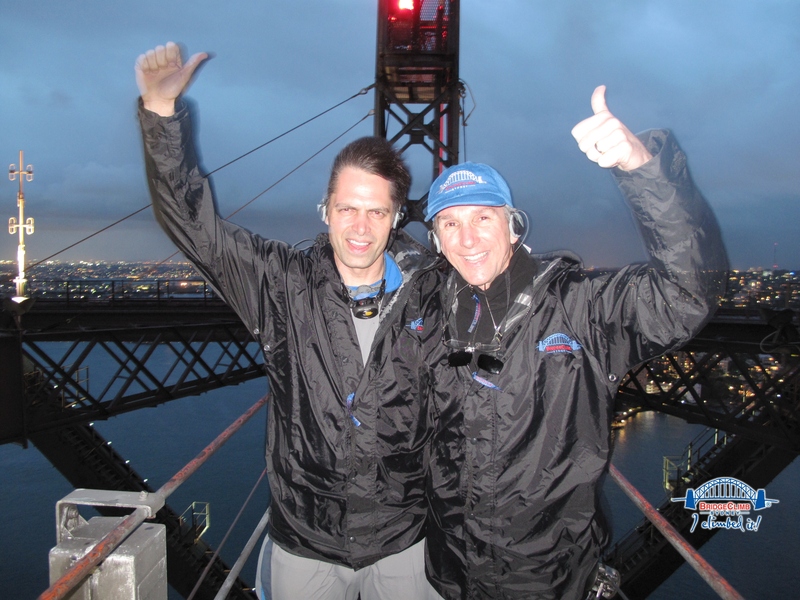 However, before we left on our trip, Pastor Randy informed me that not only were we going to visit the awesome city of Sydney, but we were also going to possibly have the opportunity to climb the beautiful Sydney Harbor Bridge. Well, I wasn’t too sure what he was really talking about until we arrived in Sydney and we were looking at the bridge from across the harbor as we ate our lunch on a bench. Sitting there looking at the bridge, Pastor Randy pointed out groups of people walking on top of the bridge’s arches to the very crest of the bridge, and then I fully realized what he was talking about. He wanted to do the same thing with me, which was awesome…except for one minor detail…the fear of heights…especially heights involving cat walks 440 ft in the air on top of a bridge. So I had a choice to make. Was I going to let the fear of heights steal the potential experience of a lifetime or was I going to see such a seemingly impossible challenge for me made possible by facing the fear of heights? I am glad to say that by the grace of God and the power of His Word in me, I chose to face the fear and overcome it as I took each step of faith on the steel arches of the bridge leading to its very top. And I can honestly say that the view from the top was everything it was promised to be! Do you know that fear is the greatest weapon the devil will use on us to try and steal our hopes, dreams, and destinies in God? In fact, when God has called us to do something big in Him and fear rises up to prevent us from taking steps of faith to do what He has asked us to do, we can be assured that such fear is not from God. 2 Timothy 1:7 states, “For God has not given us a spirit of fear, but of power and of love and of a sound mind.” The devil knows that fear is the exact opposite of faith and he also knows that without faith it is impossible to please God (Heb 11:6); therefore, he will do whatever it takes to scare us into a state of disbelief and mission paralysis through deceptive fear tactics. However, when we understand that FEAR is nothing more than False Evidence Appearing Real, we can overcome the devil’s deception by learning how to effectively walk by faith and not by sight just like the apostle Paul states in 2 Corinthians 5:7. Additionally, Paul states in Romans 10:17 that “faith comes by hearing, and hearing by the word of God”, therefore, our ability to walk by faith in the face of fear is contingent upon our hearing the word of God and believing it. Simply put, we can trust that the still small voice of God’s truth spoken to us by His Holy Spirit through His Word will overcome fear every time because God’s Word is eternal truth and the devil’s word is nothing more than a deceptive lie. With a spirit of faith and commitment, let us see God’s mission for our lives made possible by overcoming fear and embracing our destinies in God with an unshakeable faith in the Lord to make the impossible possible in and through us to His glory! The Make It Happen Risk-Taking Value: “Make It Happen” People Take Risks In The Pursuit of Excellence! The Make It Happen Moment ® Mission Possible Copyright 2010, The Make It Happen Learning Institute. You have permission to reprint The Make It Happen Moment ® Mission Possible, in its entirety only, and forward to your colleagues and friends, provided the copyright notice remains part of the reprint and transmission. All other rights reserved.